If you are looking for information on the Cookies By Design franchise business opportunity, Cookies By Design franchises or Cookies By Design franchising, then you have come to the right place. Cookies by Design specializes in cookie gifts for all occasions with artful bouquets that can be customized to express any sweet sentiment. We are expanding and looking for franchisees to join us. With almost 200 shoppes nationwide Cookies by Design has developed a loyal following and new customers are discovering our products every day. Cookies capture love, friendship and caring in a way that few products can. When you add the personal touch of designing and hand delivering cookie bouquets you will discover how Cookies by Design has created the recipe for an enduring concept. "I see Cookies by Design as having the hallmarks of a timeless brand... A product about which people feel passionately, a concept that has stood the test of time and a business that is responsive to marketing." Twenty five years ago Gwen Willhite originated the cookie bouquet in her own kitchen by combining two traditional gifts, flowers and sweets. As her business grew, so did requests from others wishing to start their own Cookie Bouquet franchise. 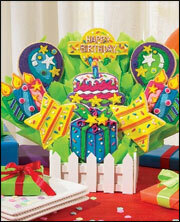 The first franchised Cookie Bouquet shoppe opened in 1987 and the momentum has been growing ever since. 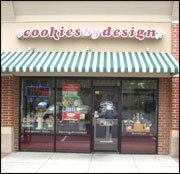 Now, 25 years later, approximately 200 Cookies by Design shoppes are operating across the United States. Exclusive rights to a designated trade area. Proven system of doing business with hundreds of proprietary designs and gift ideas. Established network of retail shoppes provide national presence and consumer brand recognition. National and local marketing support. Proprietary Point of Sale (POS) system to assist in efficient shoppe management and processing of online orders. Cookies by Design has a very bright future. Explore being a part of it.